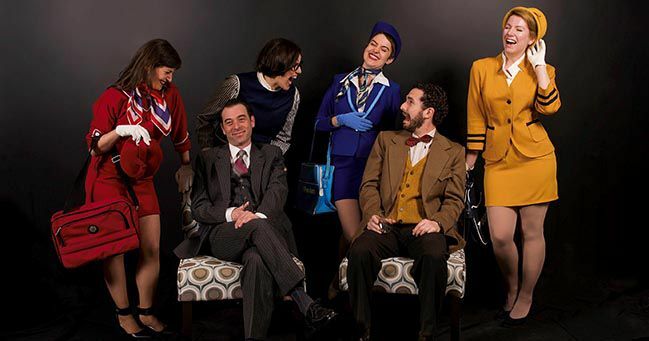 THUNDER BAY, ONTARIO - April 24, 2019 (LSN) The play takes place in the Paris home of Bernard, a successful architect who has been juggling three air-hostess fiancées. With careful planning and the help of his disapproving housekeeper Berthe, Bernard has always made sure that he has one fiancée taking off, one landing and one on the ground. With the introduction of quicker planes an unfortunate storm over the North Atlantic, Bernard and his friend Robert will have to brace themselves for a bumpy night as all three women arrive to spend a night at home.